After approaching the North Gauteng High Court on Saturday, June 13, on an urgent basis the Southern Africa Litigation Centre (SALC) managed to secure an interim order preventing President Omar al-Bashir from leaving the country pending the finalisation of the matter before court. Yet to everyone’s surprise the South African government allowed al-Bashir to leave. Al-Bashir’s arrival and unceremonious departure has left the world wondering how the South African authorities were complicit in this so-called “great escape”. The government commenced its downward spiral into controversy and lawlessness when it cleared al-Bashir’s plane for take-off on Monday June 15 2015. The consequences of the state’s reckless approach to justice are already being felt. South Africa’s international reputation has taken a significant blow, with its legitimacy and credibility being brought into question. At the regional level South Africa has undermined its own credibility. Though many think this has improved South Africa’s standing among Africa Union (AU) members, I beg to differ. How can one respect a government that disobeys its own courts? Especially, when the AU’s very own human-rights body, the African Commission on Human and Peoples’ Rights, found on its 2004 visit to Sudan, that the Sudanese government had committed war crimes and crimes against humanity. What is most surprising about the government’s conduct in this matter is that there were several alternatives that would not have put us in the quagmire we’re in now. Firstly, South Africa could have simply refused to host the 25th African Union Summit. This is what Joyce Banda did in Malawi in 2012. The former president of Malawi refused to host the summit if al-Bashir was to remain as an invited guest. The summit was moved to Ethiopia. South Africa could have remained consistent on this issue and behaved as it had done in the past. For example when President Jacob Zuma was inaugurated in 2009, al-Bashir was invited but the then director-general of the department of international relations and cooperation, Ayanda Ntsaluba, made it clear that should he travel to South Africa he would be arrested. The same happened in 2010 for the Fifa World Cup — al-Bashir was invited but was warned he would be arrested. On both occasions al-Bashir did not show up. Lastly, South Africa could have simply detained al-Bashir as soon as he set foot on South African soil as per their domestic and international legal obligations, and subsequently had him transferred to The Hague. Had the government opted for any of these options, we would all be talking about something completely different today. Not only is the defiance of a court order a travesty for the rule of law and detrimental to South Africa’s international image, but the fact that the positive aspects and outcomes of the AU summit have been completely overshadowed by all this drama is a great pity. The media is awash with all the negative implications of al-Bashir’s visit but I must spare a line or two to talk about two positive issues. The judiciary should be commended for its courage, impartiality and respect for the separation of powers. Montesquieu would be proud to see that the separation of powers still has a powerful and positive impact on the rule of law. Also, we should reflect proudly on the space that currently exists in South Africa for civil society proactivity and engagement on such issues. Were it not for the Constitution that provides for access to justice and for the fact that human-rights organisations can litigate in the interest of the public, SALC would not have been able to bring this important case to the fore. So what happens now that the state authorities have undermined the judiciary, and disregarded the Constitution? 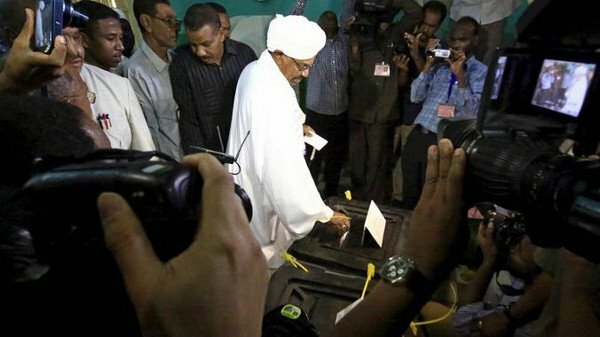 This week the court is due to hand down its judgment and the state is expected to submit an affidavit canvassing details pertaining to al-Bashir’s escape. The next phase of this saga will be determined by those two documents.